Come to Shop or come to sell! 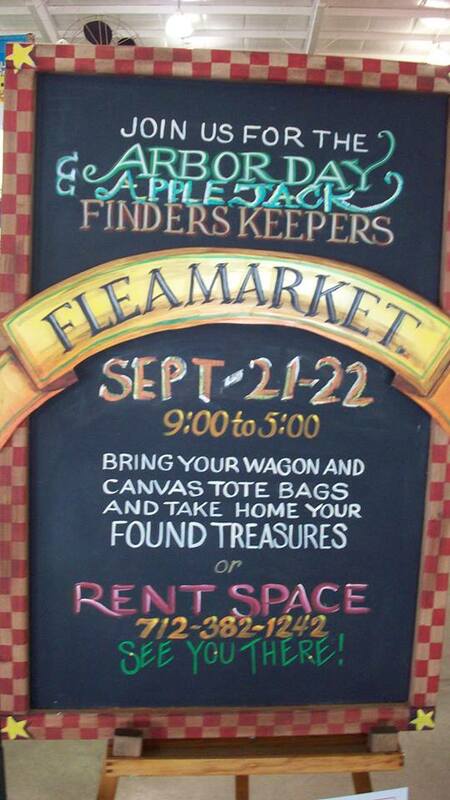 Sign up NOW for Finders Keepers Antique Mall annual Apple Jack Flea Market September 21-22 9 to 5. Large vendor spaces for only $25 with your early bird registration when you sign up before September 1st. After September 1st the cost is $45. We are seeking food, craft, junkies, small businesses and fun vendors of all types. Apple Jack Festival is ranked in the Top 10 Fall Festivals in North America by the Society of American Travel Writers. Nebraska City’s 46-year-old apple harvest celebration is fun for the whole family! This event is traditionally held the third weekend in September. September 21-22 in 2013.